September 28, 2017 - Like us now! 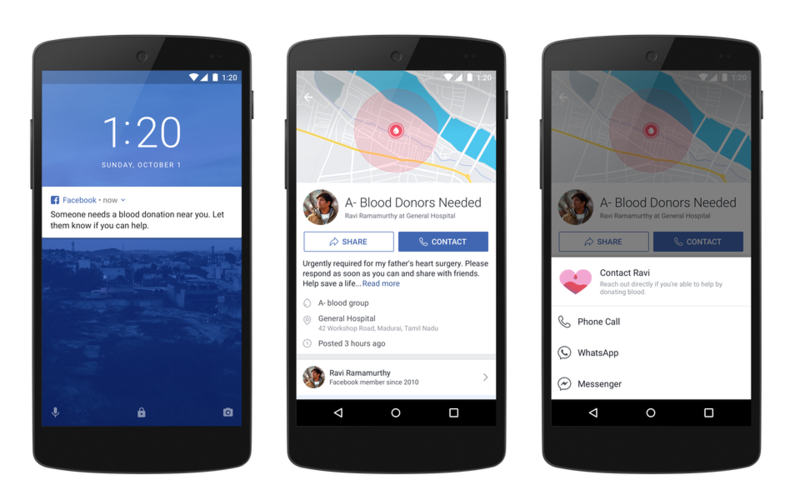 Facebook is introducing a new and much-needed feature which will make it easier to find and donate blood. Generally, when someone needs blood, most of the people post on Facebook and other social media networks to locate blood donors. 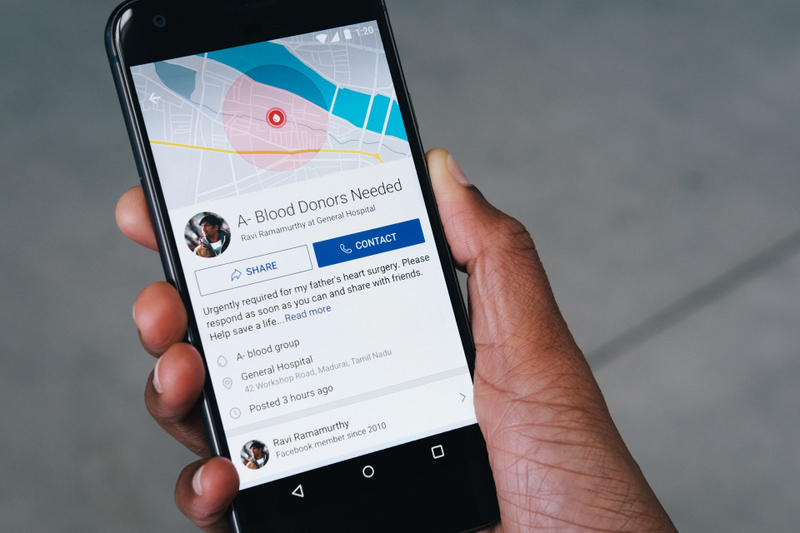 Facebook is making it easier to find blood on social media. It is introducing a new feature which will let you sign up as a blood donor. When the feature will roll out, users will get a prompt to sign up as a blood donor. 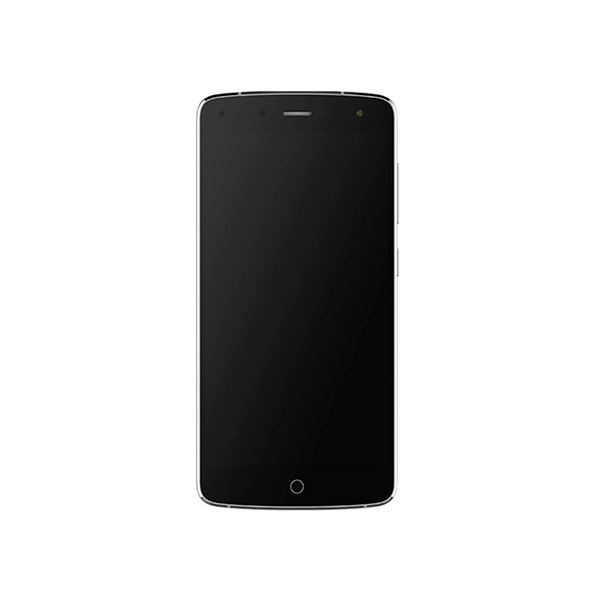 Users will then be able to put their blood group type and save it. The default privacy will be set to “only me” but you can share it on your profile for other people to see. The person who’s asking for the blood will have options to add the contact information, the address where the blood is needed and an option to add the blood group type. When someone needs blood near you and searches for a specific blood group type and if someone’s blood group type matches it, he’ll be asked to donate blood through a Facebook notification. He can then accept the blood donation request and both users will get connected. The donor will be able to respond to that person through Facebook Messenger, WhatsApp or call. 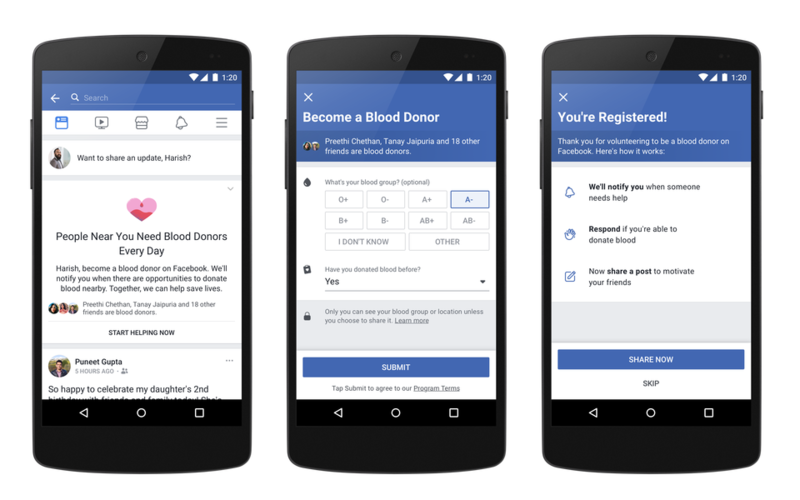 This new feature will be rolled out in India on October 1st, which is National Blood Donor Day. 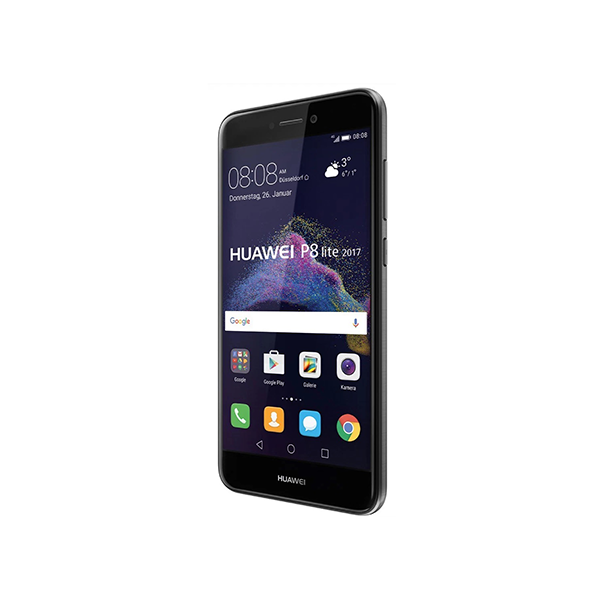 Other countries, including Pakistan, will have to wait for some more time for the feature to arrive.